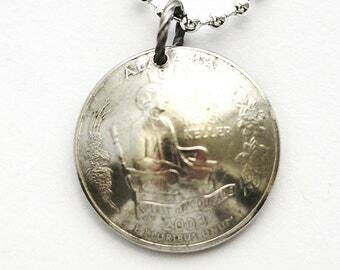 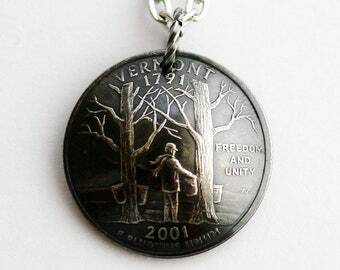 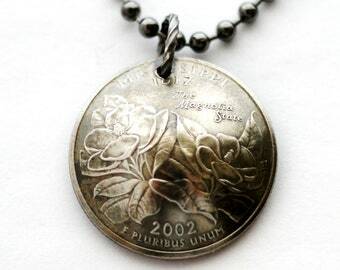 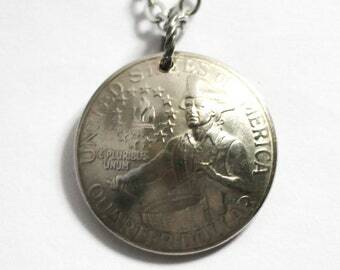 This domed coin necklace was made from an authentic U.S State quarter dollar coin. 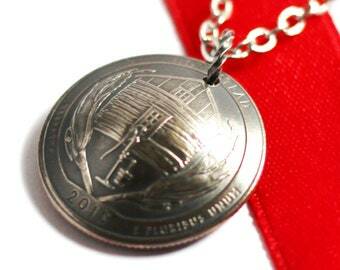 The coin, dated 2000, represents the state of South Carolina. 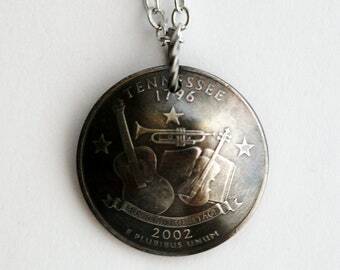 It features symbols of the area and is dated 2000. 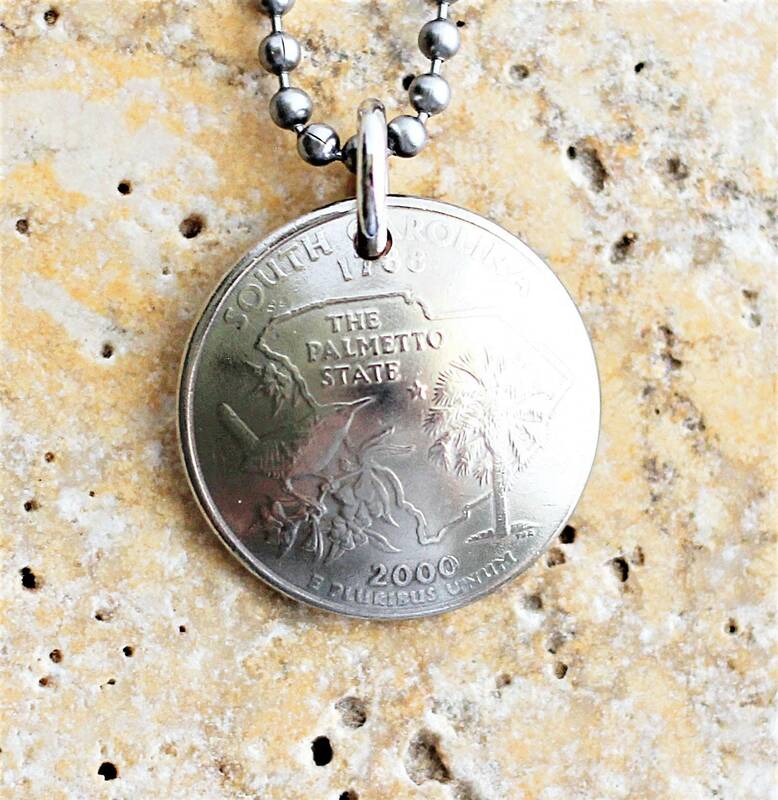 The quarter has wonderfully detailed images of key state symbols- a Palmetto Tree, the Carolina Wren, and the Yellow Jessamine. An outline of South Carolina, the nickname "The Palmetto State" and a star indicating the capital, Columbia, form the quarter’s background. 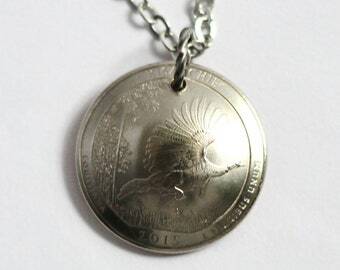 You might not received the exact coin pictured. 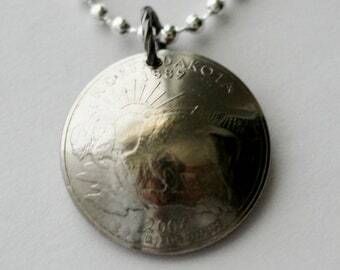 I will select a South Carolina quarter coin, in same condition, from my stock.